After four hours of debate and more than a dozen failed amendments by Democrats, the Senate on Monday gave preliminary approval to far-reaching restrictions on minors seeking abortions in Texas without parental consent. Texas law requires minors to obtain consent for an abortion from at least one parent, unless doing so could put the minor in danger of physical, sexual or emotional abuse. In those cases, a judge can be asked to approve the procedure. Republican state Sen. Charles Perry of Lubbock, the bill’s Senate sponsor, told his colleagues that HB 3994 was meant to reform a system he described as “too loose,” and provide clarity for judges. Opponents of the bill have pointed out that conservatives wrote the existing requirements for judicial bypass, and they are constitutionally sound. 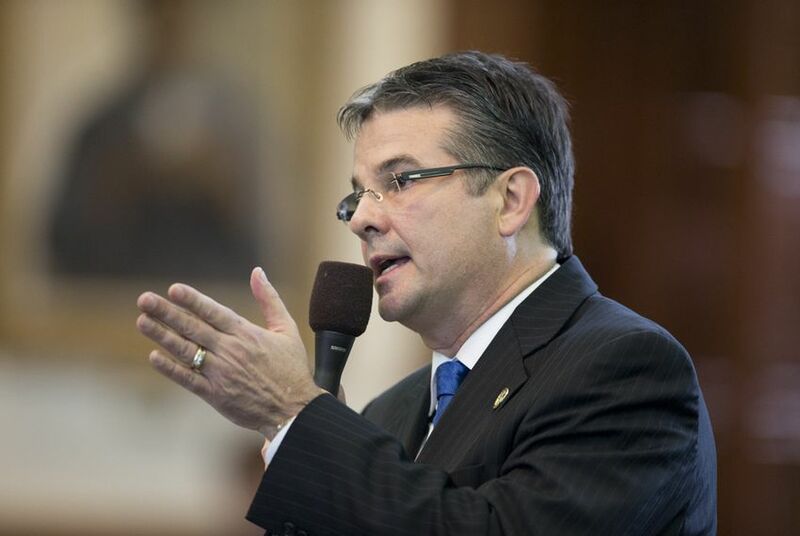 After it reached the Senate, Perry did some rewriting on HB 3994 to address two of the bill's most controversial provisions on which both Democrats and some conservatives had raised concerns. As expected, he gutted a provision that would have required all doctors to presume a pregnant woman seeking an abortion was a minor unless she could present a “valid government record of identification" to prove she was 18 or older. But Democratic state Sen. Kirk Watson of Austin, who spoke in opposition to the bill and questioned Perry for almost an hour, challenged the ID requirement altogether. Perry cut that denial provision from the bill, saying it is now “silent” on the issue. But that did little to appease opponents who pointed out a judge's failure to rule effectively denies the minor an abortion. Among other provisions, the bill requires that minors file applications for bypasses with judges in their home county. If a minor lives in a county that has a population under 10,000, she can file in an adjacent county, or in the county where she will obtain the procedure. Under current law, minors can file applications for judicial bypass in any county. Democratic state Sen. José Rodríguez of El Paso argued that the change would undermine a minor’s right to confidentiality under the judicial bypass option, especially for those living in rural counties with fewer courthouses. “Don’t you see that as a barrier for these kids?” Rodríguez asked Perry, who countered that the venue restrictions were meant to increase transparency. The bill would also reduce the grounds minors can cite for needing an abortion without parental consent. Currently, minors can obtain an abortion without parental consent if they can prove they are mature and "sufficiently well-informed," that notifying their parents would not be in their best interest, or that notifying their parents could lead to physical, sexual or emotional abuse. HB 3994 would remove the abuse provision from those grounds. In explaining the change, Perry said the possibility of abuse could be included in the grounds that notifying their parents is not in their best interest. The bill would also increase the burden of proof on minors to show that seeking consent from a parent is not in their best interest, scrapping the current “preponderance of the evidence” standard and requiring “clear and convincing” evidence. Facing questions from Democrats about his intentions, Perry said it was important to increase the burden of proof to allow a minor to have an abortion. “I don't think that standard can be too high,” Perry said. “The actual goal is to bring judicial clarity,” Perry responded. Aside from their failed amendments, Democrats were also unsuccessful in attempts to derail the bill using procedural moves. Garcia and Sen. Royce West of Dallas both called points of order — a method used to delay or kills bills on a technicality — citing problems with the bill analysis prepared by the Senate Research Center. Garcia eventually withdrew her point of order. West’s point of order delayed consideration of the bill for almost an hour as the Senate parliamentarian considered its validity. West had called foul on Perry’s “statement of intent” in the bill analysis, pointing to a sentence that contradicted language in the bill. Lt. Gov. Dan Patrick eventually intervened to move the bill forward, overruling West’s point of order. Patrick indicated he was “establishing precedent” in his ruling. There is nothing in the Senate rules that requires an author’s statement of intent in a bill analysis to be accurate, so Patrick suggested the ruling was coming from his desk. The bill is now against a House Friday deadline to either concur with the Senate’s amendments to the measure or call a joint House-Senate conference committee to consider the changes. Those differences must be resolved and adopted by Sunday.